Spending time outside makes us hungry. Spending all day, every day on a trip in the backcountry makes us very hungry, all the time. One thing we have learned on our trips, is that it takes careful planning to make sure there is enough food to satisfy that outdoor hunger. But there are limitations to what you can reasonably pack. Fresh bread, for example, is tricky. At best, it can get squished in your food barrel. At worst, it can go mouldy very fast in hot, humid weather. And if you are backpacking, bread is a ridiculous luxury you may not even consider throwing in your pack. We also learned that no matter how much you plan and prepare, we are going to get tired of eating dehydrated and pre-packaged meals pretty fast. For my family, we start craving fresh food around three days into our trip. This is about the time any fresh food we brought with us has been consumed. One way to manage those cravings is to bring the ingredients and tools you need to bake or cook, from “scratch”, right on your campsite. This past summer, we discovered the simple pleasure of backcountry baking using a reflector oven. 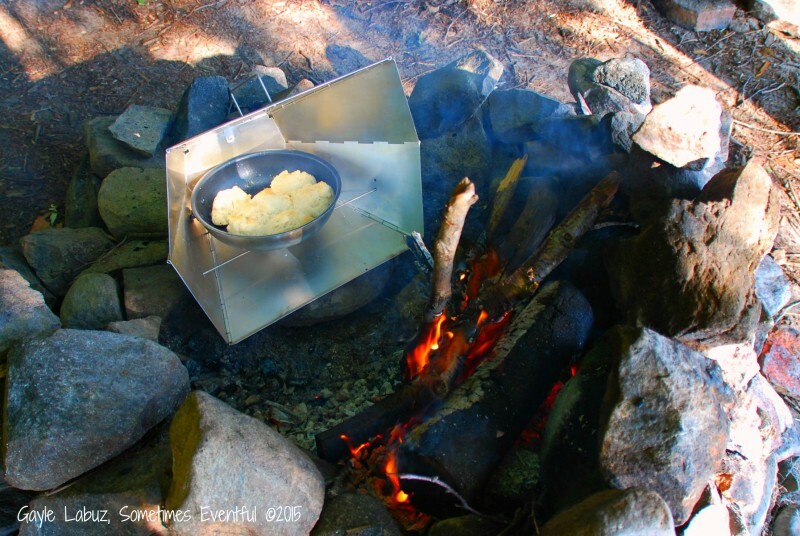 This small, foldable oven fits into your backpack or food barrel and is a saviour when it comes to feeding a craving for fresh baked food in the backcountry. We have the Svante Freden Reflector oven, which we bought from The Canadian Outdoor Equipment Company. It’s a clever, lightweight design that allows it to be folded and transported in our food barrel. Standing upright in the barrel, it doesn’t take any significant room. The one drawback to the design is that it has sharp points when it is folded flat. I made sure I packed our stuff around the oven carefully, to avoid it piercing any food packaging. This would be an even bigger concern if the oven was being transported in a drybag. And while I said it could be carried in a backpack, it is a bit large even when folded and has a bit of an awkward shape. 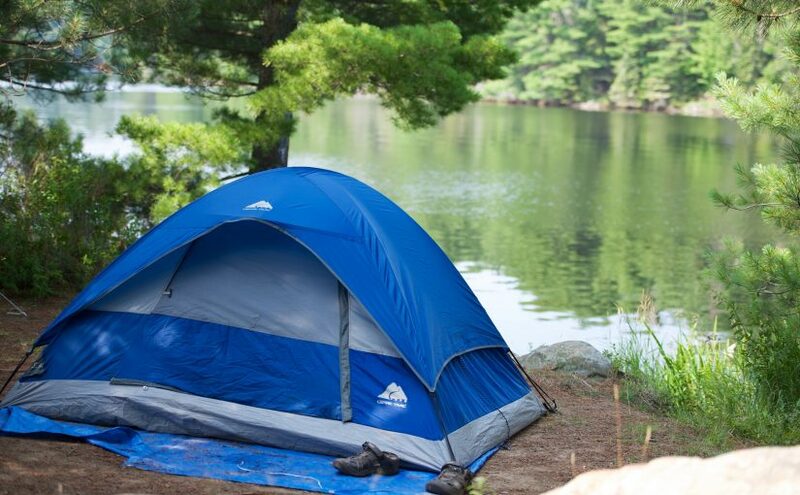 While on a trip to The Massassauga Provincial Park, I used the oven three times. I baked pizza dough, bannock and tea biscuits. For the bannock and biscuits, I mixed all of the dry ingredients at home and packed them in ziplock bags. I wrote the instructions directly on the bag, and used the bag as my mixing bowl, adding the wet ingredients directly. The less I have to do dishes on a campsite, the happier I am going to be. Where recipes called for milk, I simply measured the correct amount of powdered milk into the dry ingredients and then added the water at our site. This made it very easy to keep everything organized in the food barrel. For the pizza dough, I made the mistake of not writing my instructions out clearly, which resulted in a dough disaster. At least, I thought it was a disaster. My family still ate the pizza dough when it baked, treating it like a bannock. The good news is that we still had a fresh baked loaf of “something”, even though I was hoping for pizza! The reflector oven performed well, even though my instructions did not. For all three recipes, I was thrilled that the reflector oven baked evenly and relatively quickly. I was particularly impressed with the biscuits, as they baked light and fluffy. Just keep in mind that – like anything being made over a fire – you do need to keep an eye on the food while it is cooking. • Build your fire in one small area of the pit, so you can put your oven close to the flame but have it as flat as possible. • If there is a flat rock nearby, use it as a small baking rack to hold the oven in the firepit. • Check on your baking regularly. We found that turning the pan at least once while baking helped everything bake evenly. • Be careful when you move the oven from one place to another. Stuff falls out easily. It is best to tip the oven backwards a bit while carrying it, to avoid dropping your fresh baked food on the ground or, even worse, in the fire!